The country’s long-lasting labour market revolution is half-kaput. New jobs are still appearing at an amazing rate. But this is no longer translating into falling unemployment. And an ill-considered labour market re-regulation is poised to worsen the deep structural problems. 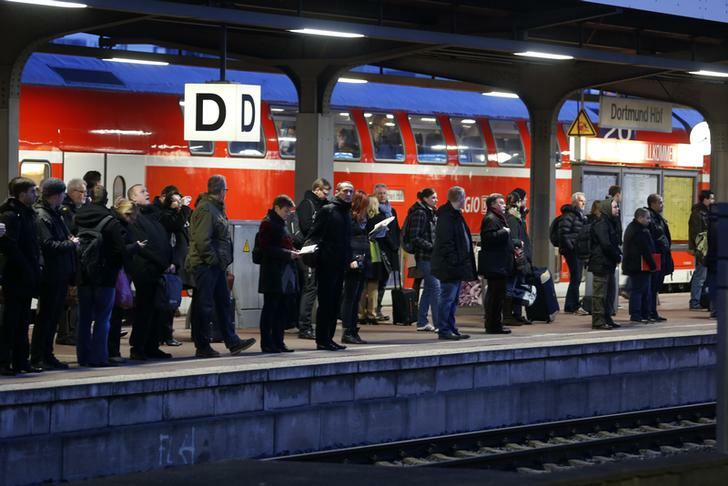 Commuters wait on a platform at the main railway station in Dortmund Janaury 14, 2014. The number of unemployed in Germany rose by 263,000 to 3.136 million in January, the Federal Labor Agency announced on Jan. 30. Winter weather and other seasonal factors led to an unemployment increase for the first time in 10 months; however, the increase was significantly low for the season, the Nuremberg-based agency said. On a seasonally adjusted basis, 28,000 fewer people were unemployed in January than in December. The unemployment rate, calculated by the Agency’s domestic definition, stood at 7.3 percent after 7.4 percent a year earlier. Measured by the definition of the International Labour Organisation (ILO), the seasonally adjusted unemployment rate stood at 5.1 percent in November and December.